44. 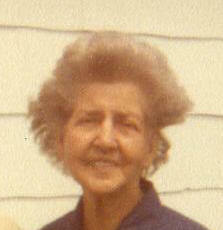 Ruby A. RICHISON was born on 21 Oct 1907 in Oklahoma. She died in Sep 2008 in California. Ruby A. Richison and John Isom were married on 10 Jan 1933 in Spiro, Le Flore, Oklahoma. John Isom, son of Fulton Lattimore Isom and Nennie Wells, was born on 25 Dec 1910 in Oklahoma. He died on 17 Dec 1991 at the age of 80.